A brand new interface and organization of key information including easy access to all certification, evaluation, exams, equipment and education services. A new email newsletter system delivering regular updates to you on a regular basis (subscribe below). An updated Contact list of MABO Executive and Provincial Council Members. An updated 'Ask the P.I." feature for all your rule interpretation needs (found on the lower right side of all pages). A new article commenting feature available at the bottom of all pages. Direct access to all the FIBA developed rules and interpretation videos. 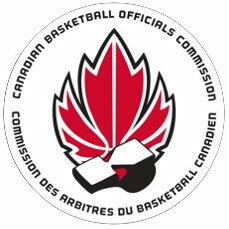 Quick links to the FIBA rulebooks and other important referee related websites (found in the 'MABO Quick Links' section to the right). Full archives of all past MABO articles and the CABO Post Play newsletters. Direct links to all Basketball Manitoba headlines (bottom left) and Basketball Event Calendar. A new 'Find Your Gym' feature. More items and features are still being added! We welcome you to check out the new site and please provide any feedback in the comments below or directly to our webmaster!